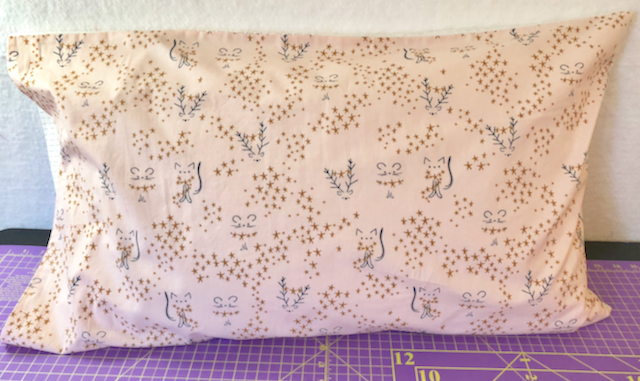 I was thinking that I wanted to make pillowcases for my family for the holidays - a nice sort of early present to give or send along to make folks smile and enjoy the weeks before the holidays start. 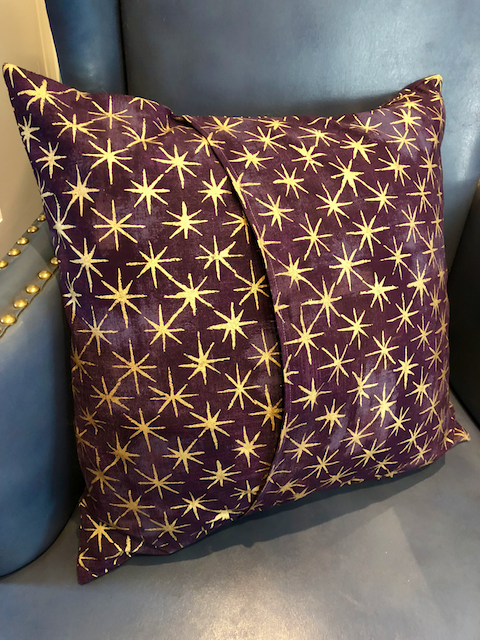 And then I remembered that it was my turn to do a tutorial for the FAL so maybe you too would enjoy adding a little holiday cheer to your pillows. So I started by making tutorials for 2 styles of the pillowcases for the pillows on your bed. Then it seemed that maybe we should have a quick and easy option for our throw pillows too, so I have three options for you. And since your pillows and mine might be different, I will give you the math to make these pillowcases any size. 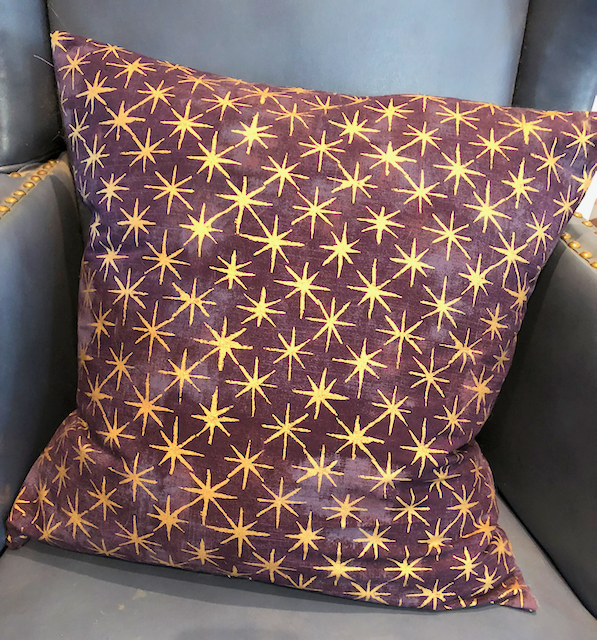 Take a good look at the pictures on your fabric and make sure you have sufficient fabric to cut it so that the picture faces the way you prefer on your pillow. 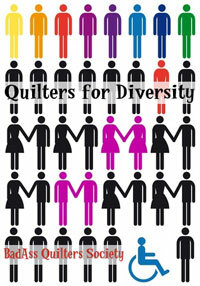 Quilting fabric is generally printed so that the design is perpendicular, rather than horizontal to the selvages. 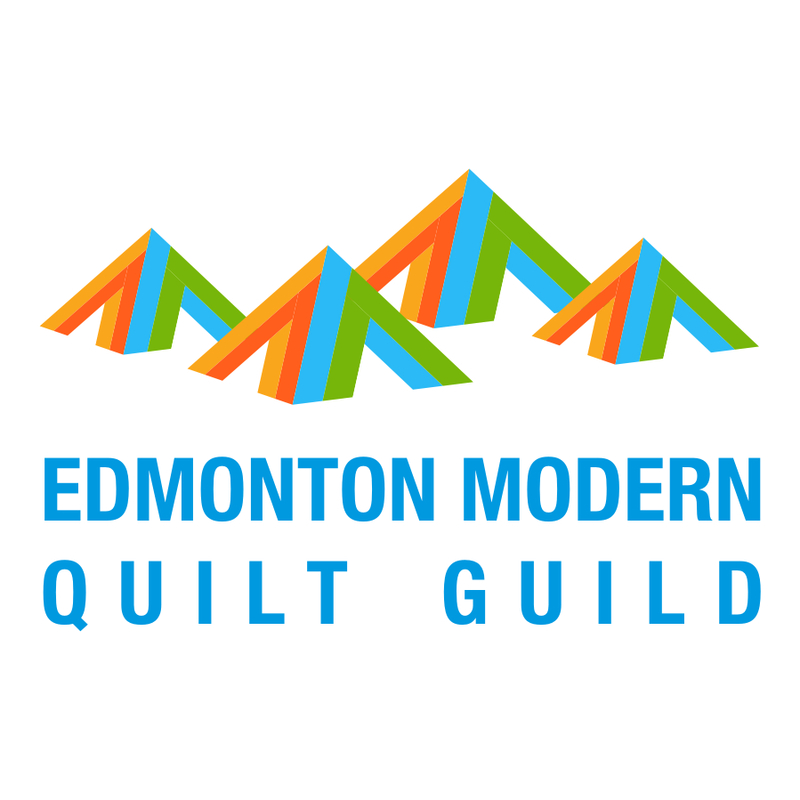 Quilting fabric is also generally 40 - 44" wide - selvage to selvage edge. 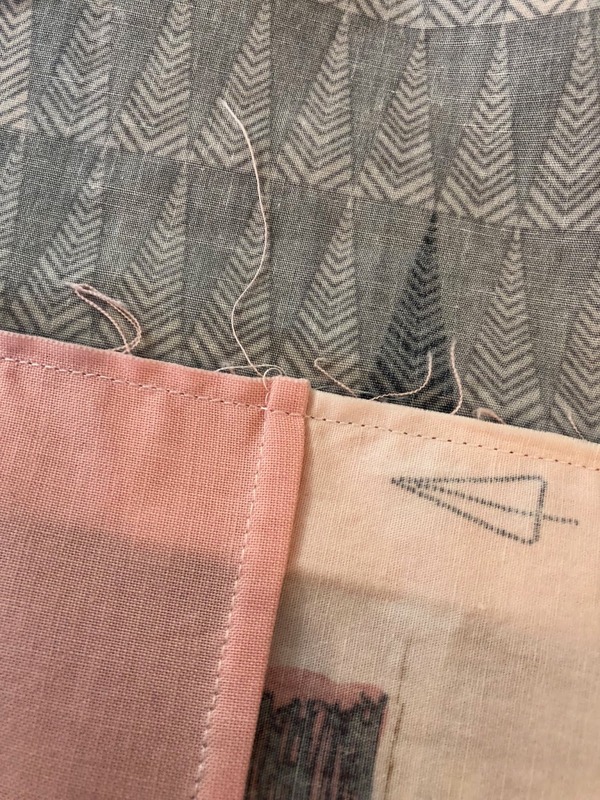 If you cut a single piece of fabric for the front and the back, rather than two separate pieces of fabric, the picture will be upside down on the back if the pillow is flipped. This is why I use two separate pieces for the front and the back. 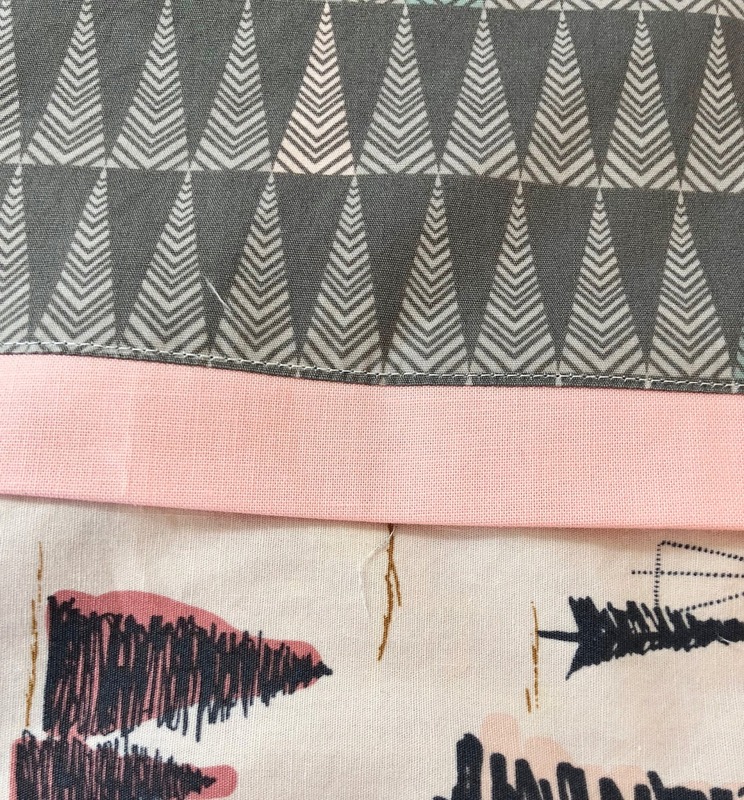 If you want people to feel comfortable sleeping on your pillowcases, consider using very smooth fabrics for the main pieces. On the second style, consider more textured fabrics for the Edge piece and the Accent strip, even lace or corduroy or silk, this is your place to play. If you want the pillowcase to have a longer use than the holidays, you can put something less seasonal on the back of it. 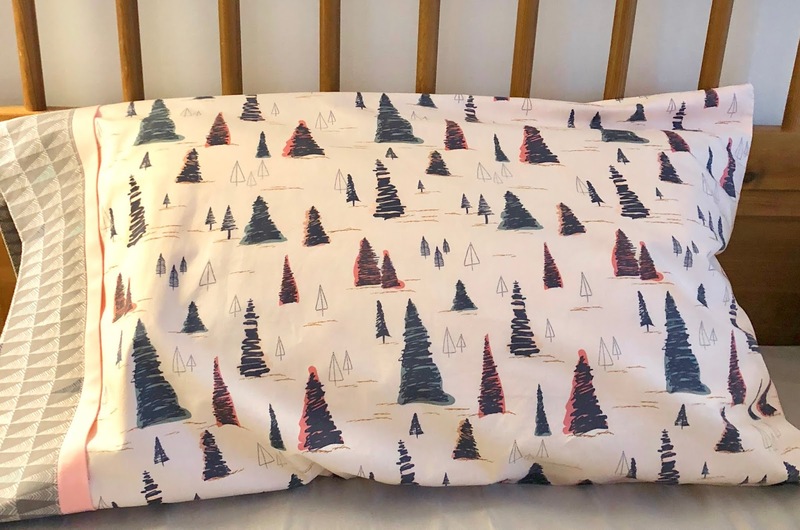 Like garments, pre-washing is recommended for these pillowcases which use larger pieces of fabric with no quilting and which you will want to wash regularly. Wash the fabric as you will wash your bedding, using the same temperature water and dryer. Iron the dry fabric before you start cutting it. At this point, if you don't think the fabric will be nice and smooth to sleep on, use it for another project and try another fabric. My pillow is 27" x 19", measuring along the seams, not around the bulk of the stuffing. 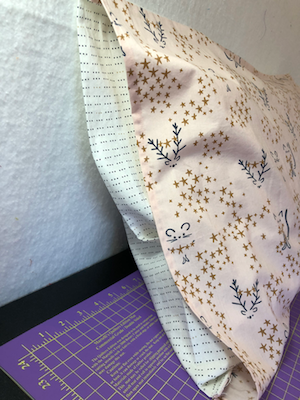 Customize to the size of your pillow: : Measure your pillow and use your horizontal (longer) measurement plus 3.5" for the long side of the front fabric piece. 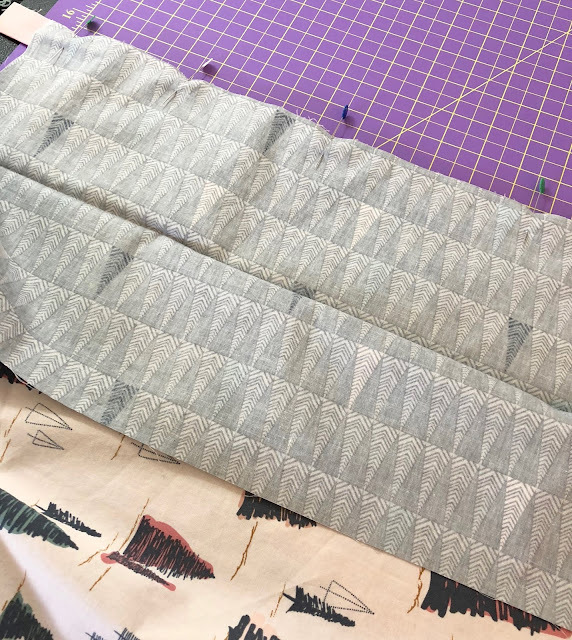 For a tighter stuffed pillow use your vertical (shorter) pillow measurement for the front fabric piece, if you want the pillowcase to be looser, add an inch. 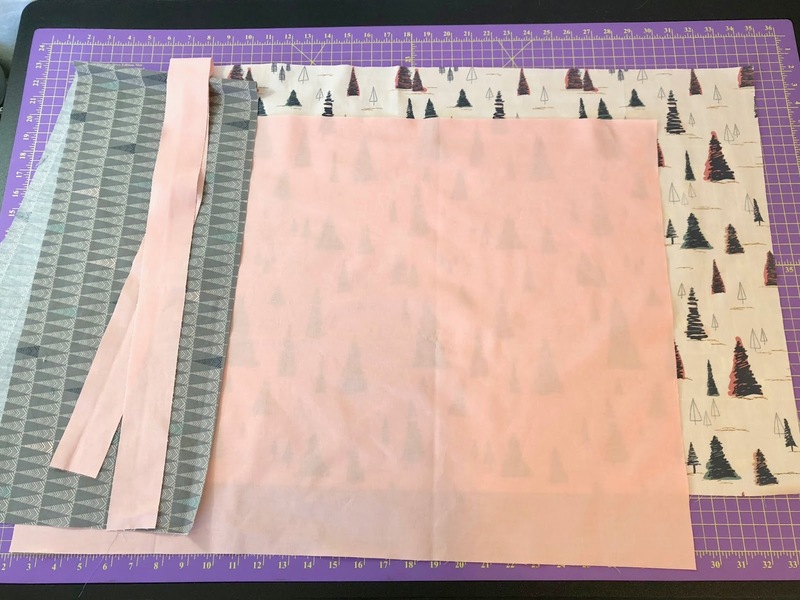 For the back fabric, you want to add 7.5" to the longer edge and use the same size as you used for the front fabric for the shorter edge. If you prefer the front to match the back, buy more of a single fabric. 1. 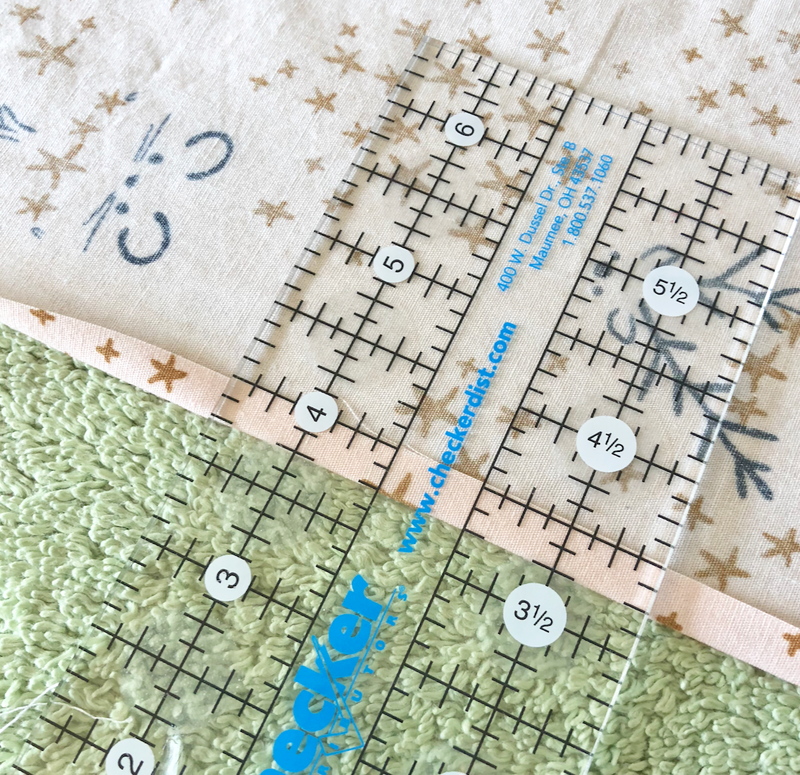 Cut the fabric using the measurements set out above or as customized for the intended pillow. Remember to remove the selvages before you measure the fabric. 3. 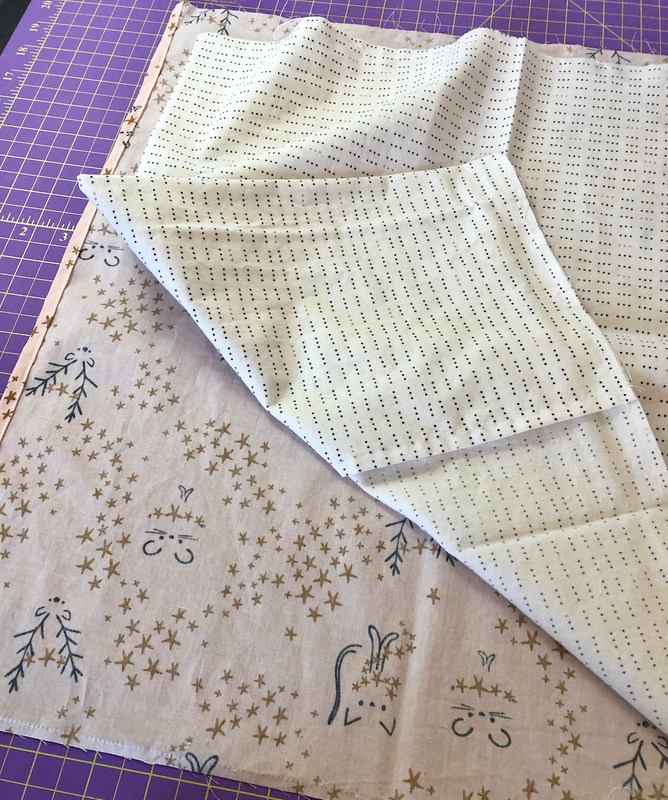 Press the edge that is to be on the open end of each fabric under 1/4" and then under 1/4" again. Topstitch along the pressed edge. First fold the envelop closure on the back fabric to the wrong side: On the edge that you have topstitched, fold that end to back side of the back piece. 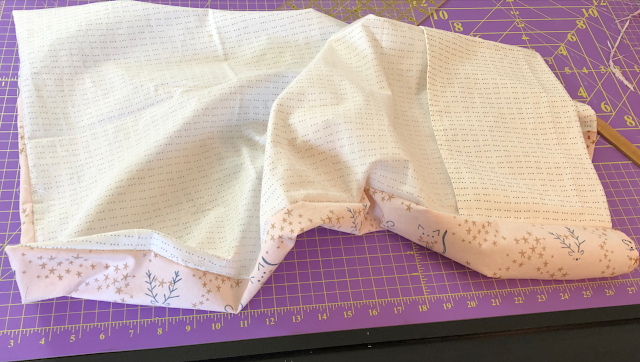 Place the front and back fabrics right sides facing out, wrong sides together, with the envelop fold on the back fabric in place. Adjust the envelop fold as necessary so that the two fabrics pieces line up to be the same size. 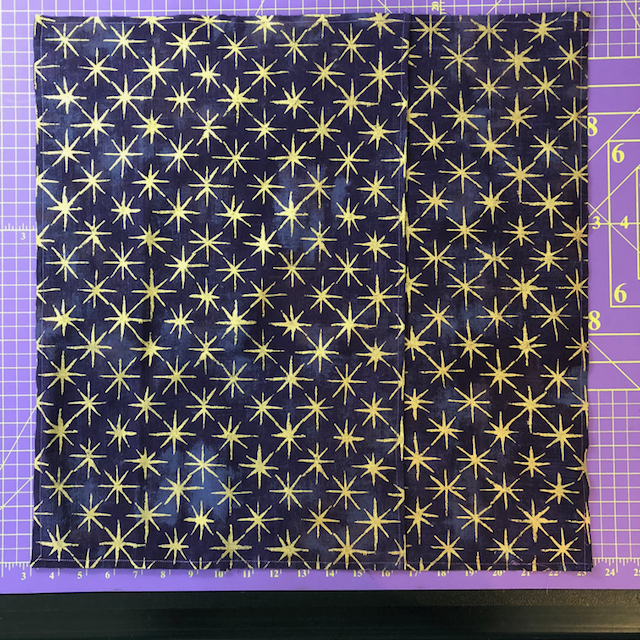 Starting on one of the long edges beside the end you have decided will be the open end, stitch, on the right side of the fabric, around the long side, the short end that will be closed, and the second long size with a 1/4" seam allowance. note: It is counter-intuitive to sew the first seam with the right sides facing outward. 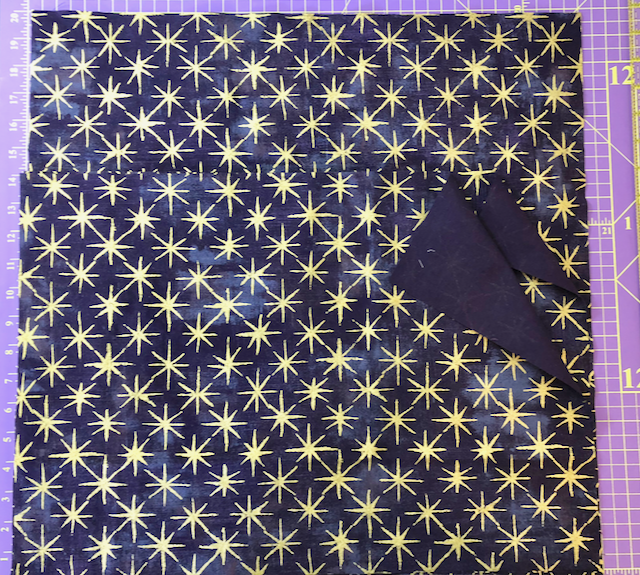 I often mess this up the first time I use French seams and have to rip it out and do it again. Turn the pillow case "outside in" so that the right side of the fabrics and the seam face inwards and the wrong sides of the fabric face out. Press the seam open and then press it over so that the right sides are lined up and are facing each other. Sew the same three sides again, with a 3/8" seam allowance. 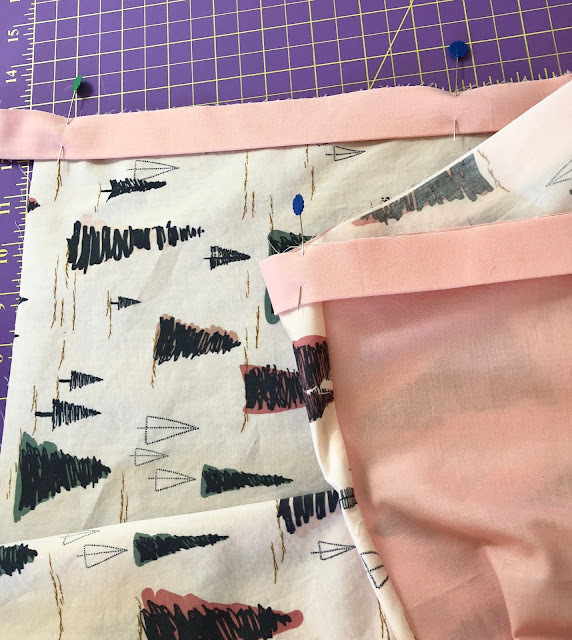 You are using 3/8" seam allowance to encase the first seam inside of the second seam. Press. 5. Turn the pillow case right sides out, press. If your sewing is like mine, you will have little bits of threads sticking out of the French seams. Trim off the thread ends. 6. Insert your pillow into the pillowcase. Tuck the pillow into the envelop fold. 7. Admire your new pillowcase. These are really very fast to make once you have made one, so make some more. Accent strip: 40" x 2" (this can be pieced to get the 40" length) The Accent strip is entirely decorative, you can omit it if you like. 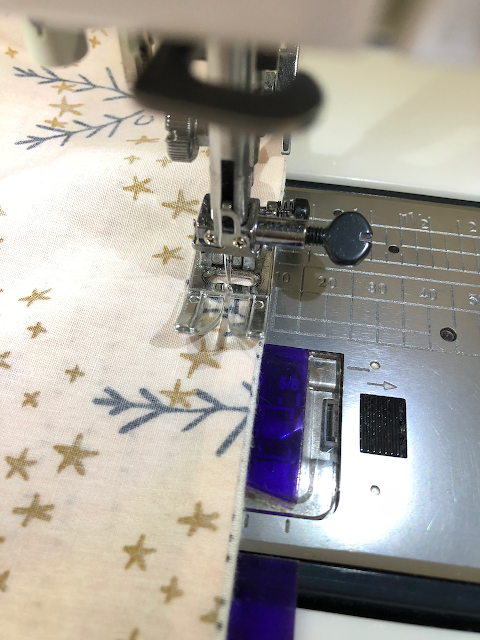 Customize to the size of your pillow: : Measure your pillow and use your horizontal (longer) measurement and 1" more than your vertical (shorter) measurement for the front and back fabric pieces. The Edge is generally fine at 9" wide and the Accent strip is generally fine at 2" wide and make sure both are least as long as two times the vertical (short) side of your pillow. 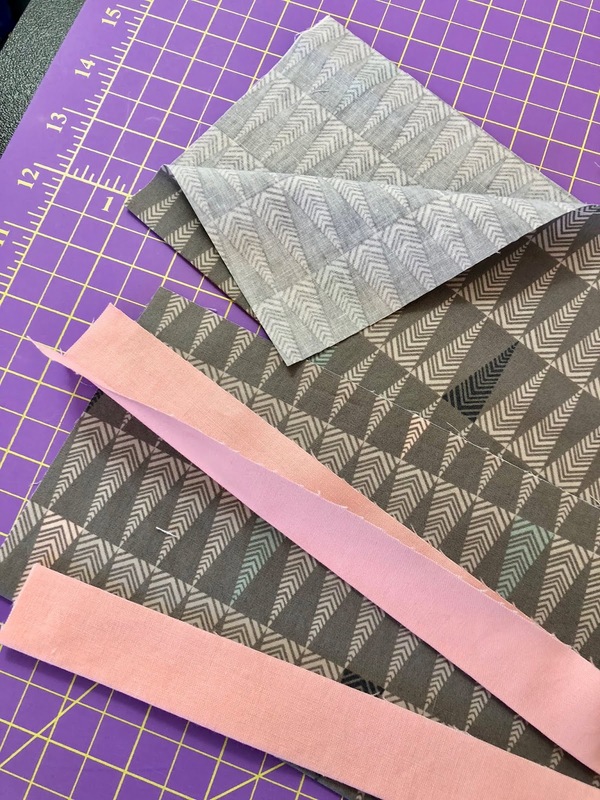 For the Accent strip: Buy a 1/4 yard but not a fat quarter. You need a 2" strip for the Accent strip - this can be wider or skinnier, or can be a piece of 1" wide or wider lace. You might have many options in your stash. 2. If you need to, piece the Edge and Accent strip fabrics to achieve the required length. Iron the Edge and Accent strip fabrics together along their long lengths, wrong sides together. 3. Orient the Front and Back fabrics as you want the designs to appear when the pillow is on the bed. Place the fabrics right sides facing out, wrong sides together, and sew along one horizontal edge with a 1/4" seam allowance. note: It is counter-intuitive to sew the first seam with the right sides facing outward. I often mess this up the first time I use French seams and have to rip it out and do it again. 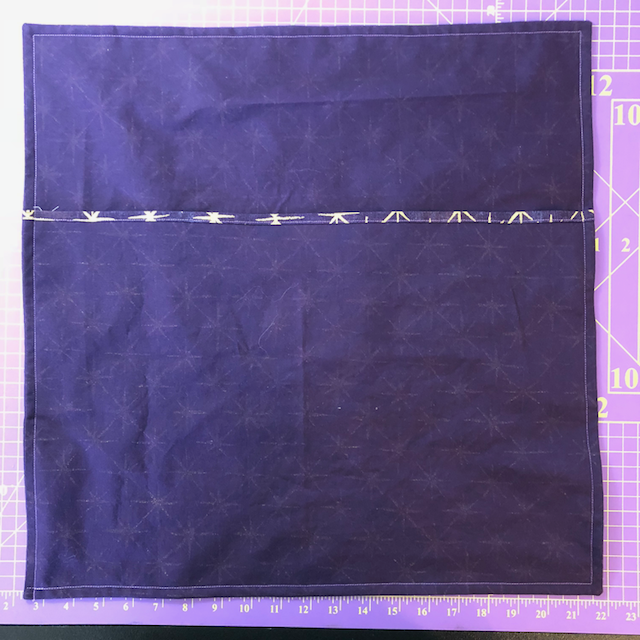 Press the seam open and then fold it over so that the right sides are facing each other. Sew the same horizontal seam again, with a 3/8" seam allowance. 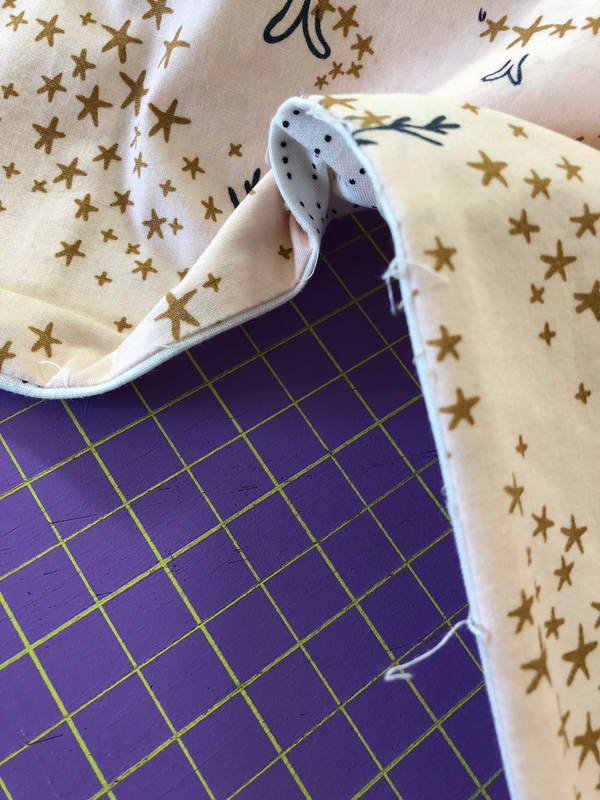 The 3/8" seam allowance allows you to encase the first seam allowance inside the second seam allowance. Press the seam. The raw edges are encased in the seam. 3. Decide which side of the pillow you want the accent edge to be on. This is a matter of preference, I like the accent edges to open to the outside of the bed but do as you like. 4. With the right side of the fabric facing up, pin the folded Accent strip, raw edge to raw edge, to the side of the pillowcase you have decided that the opening should be on. 5. Place the Edge strip on top of the Accent Strip, raw edge to raw edges. Open the Edge strip and pin one layer in place. You now have several layers, on the bottom is the Front and Back fabric, right side up, next is the Accent strip both sides, next is one side of Edge piece right side facing down. 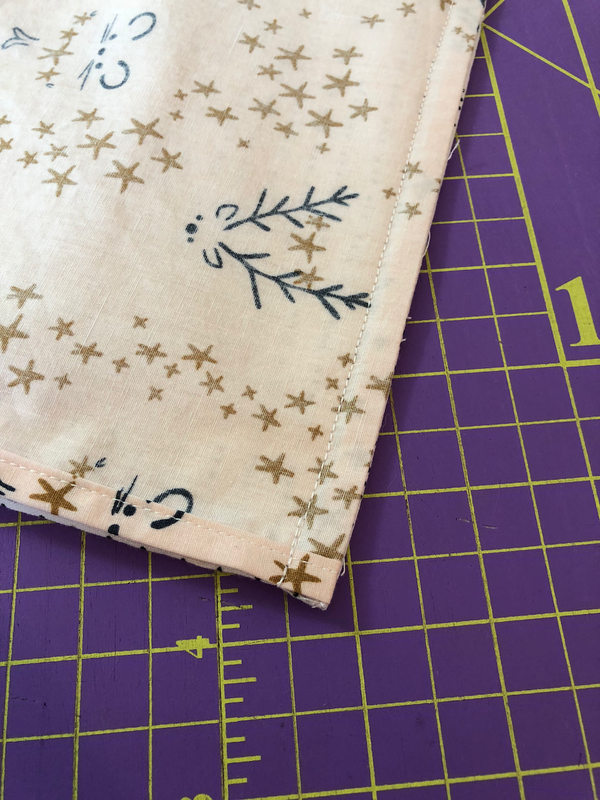 Sew along the pinned edge with a 1/4" seam. 6. 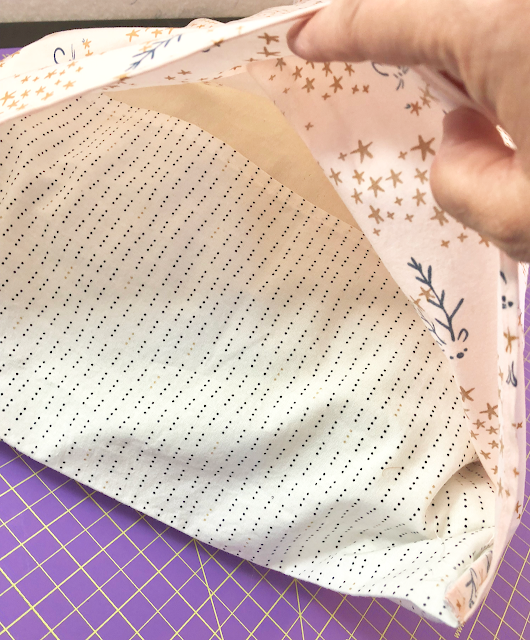 Press the seam toward the Edge fabric, with the Accent strip away from the Edge piece. 7. Press the unsewn side of the Edge piece under 1/4", (be careful to also retain the original press line that pressed the Edge piece in half earlier). Bring the newly pressed Edge piece over the seam you just sewed. Top stitch the Edge strip down, close to the fold sewing through all the layers. Basically you are encasing the seam from step 5 inside the Edge piece. This is a step where the photo above will help you visualize the process. 8. Press. The photo above is of the front after pressing. Trim any excess fabric at the edges of the Accent and Edge strip to match the edges of the Front and Back pieces. Place the fabrics right sides facing out, wrong sides together and pin. 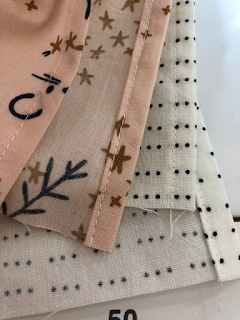 For the nicest finish, starting sewing at the Edge piece and make sure that the seams on the Edge pieces and the Accent strip line up. 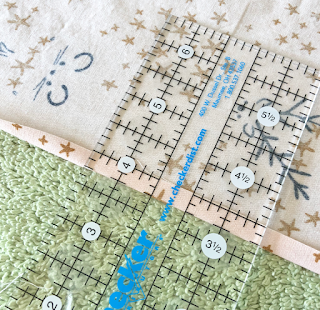 Sew along the horizontal edge and across the bottom of the pillowcase with a 1/4" seam allowance. Press the seam open, turn the pillowcase "outsides in" so that the right sides are facing each other inside the case. 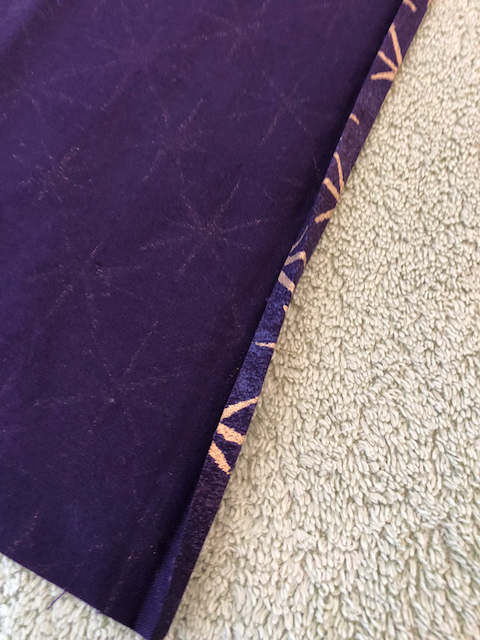 On the wrong sides, sew the same horizontal and bottom seam again, with a 3/8" seam allowance. Press the seam. The raw edges are encased in the seam. Turn the pillowcase right side out. 10. 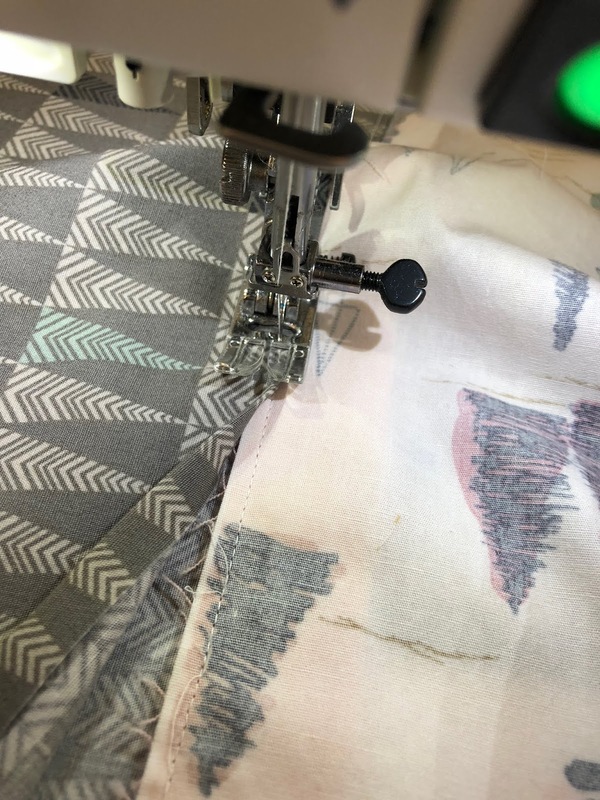 You will see that there are little bits of threads poking out of the French seams, so take a few minutes to trim them. Press and admire your pillowcase. 11. Admire your pillowcase with your pillow inside. Two Back Pieces: 14" x 20"
If your fabric design has an pattern with a right side up, be sure to orient the fabrics to take that into account. My pillow is 20" x 20", measuring along the seams, not around the bulk of the stuffing. Customize to the size of your pillow: : Measure your pillow. Cut the front piece the same size as the pillow. Cut two back pieces the same width of the pillow and half the height plus 4" (in my case 20" by (20/2 + 4 = 10 + 4 = 14"). 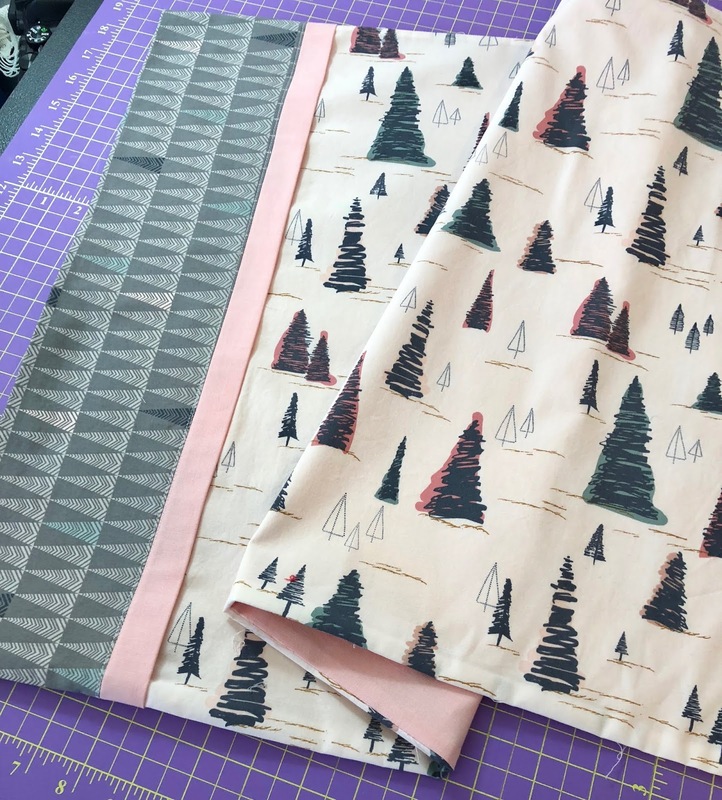 A yard of the fabric will give you enough to make a cover that is 20" x 20" provided you don't need to keep the fabrics in one direction for the print. 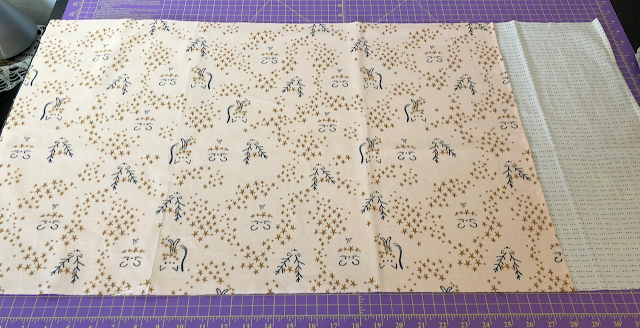 If you have a directional print you will need a 40" wide x width of fabric, piece of fabric. Or you can use different prints for the front and the back if you prefer. 2. Orient the Front and Back fabrics as you want the designs to appear. 3. Press the long (20") edge that will overlap on the two back pieces of the cover under 1/4" and then under 1/4" again. Topstitch along the pressed edge on both back pieces. Place the front and back fabrics right sides facing out, wrong sides together. On the back you will have one fabric overlapping the other, both back pieces with right side facing out. Sew around all four sides with a 1/4" seam allowance. (you have that envelop opening for turning the pillow cover so you can sew all four sides at once). Turn the pillow case "outside in" so that the right side of the fabrics and the seam face inwards and the wrong sides of the fabric face out. Press the seam open and then press it over so that the right sides lined up and are facing each other. Sew around all four sides with a 3/8" seam allowance. You are using 3/8" seam allowance to encase the first seam inside of it. Press. 6. Carefully insert your pillow into the cover, being careful to not pop open the seams on the back envelop cover. We have intentionally made this cover tight, so take your time inserting the pillow. 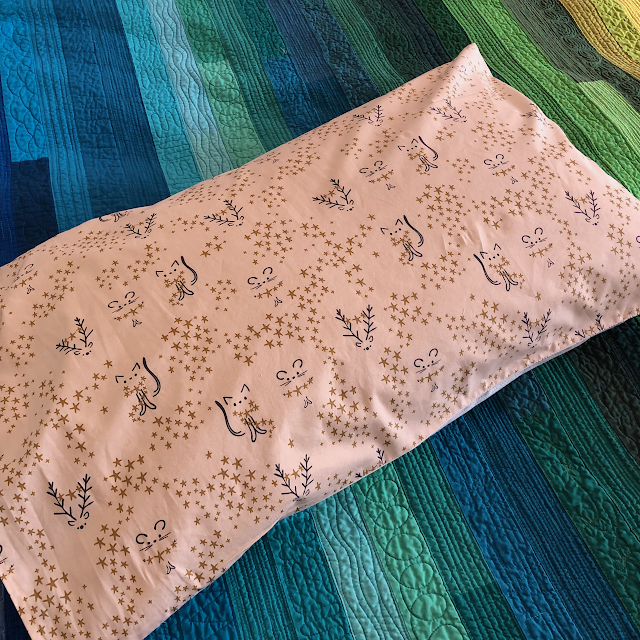 Gently adjust the pillow and the envelop fold so the pillow reaches all four corners and the back cover does not gape open. 8. 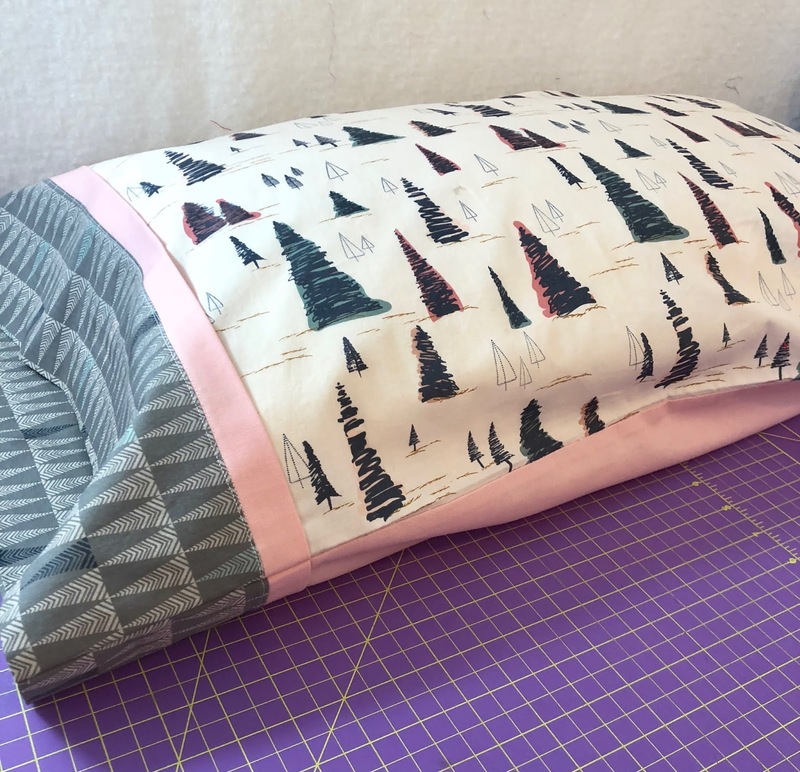 If you want to use a quilted piece for the front of the pillow cover, go ahead and do that. 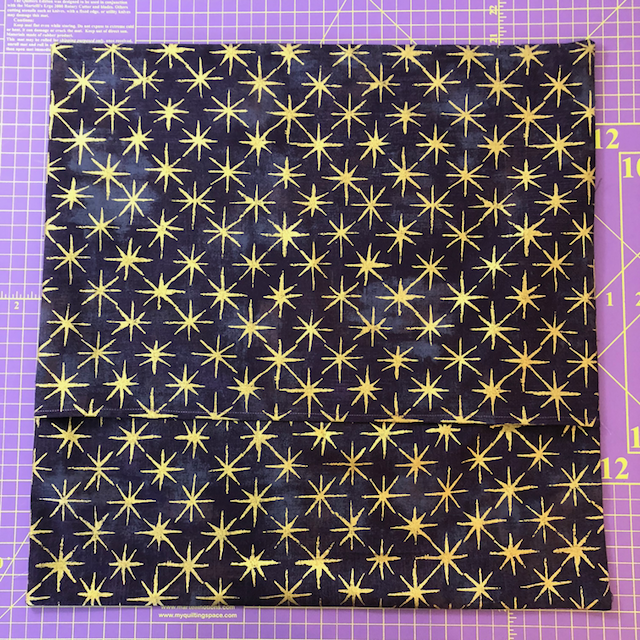 You can also use quilted pieces for the back envelop cover if you prefer. I hope you have enjoyed these tutorials and let me know if you have any questions. Thanks Leanne. I've never tried the envelope option for a bed pillow so it's nice to see your tutorial. Very fun. Thanks for these suggestions. I've sewn pillowcases before; however, I had not considered one piece for the front and piece for the back. That provides much more options on yardage, especially what I have on hand. Great tutorial. I'm going to play with your techniques! 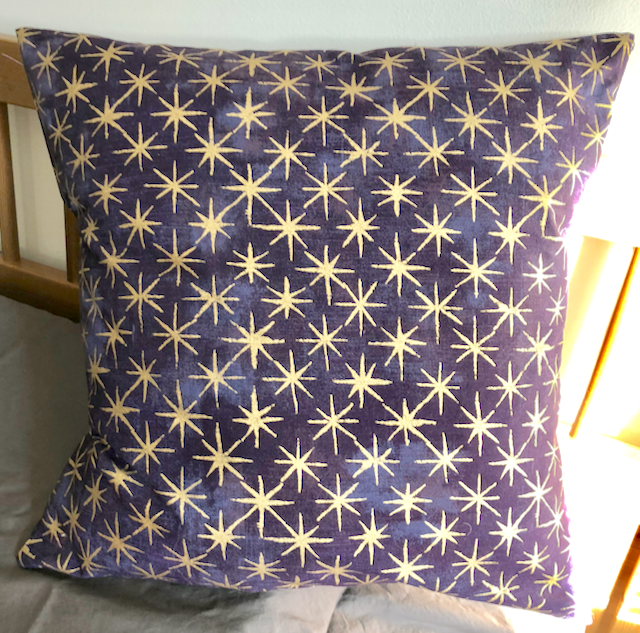 I just made a pillow case that had a different "back" and your technique would have been helpful to have used. . . next time!!!! Thanks so much for putting all 3 techniques together. I hadn't see instructions for the Envelope Closure before so I will be trying yours at some point. Happy FAL!!! Thanks for the great instruction. I too, look forward to trying the envelope pattern. Pillowcases have become a family favorite so I make them every year for our family holiday dinner. I made 40 last year and still had to make some additional later so that a few people who missed getting one could have one. I will be making more this year. Fleece blankets are another family favorite. 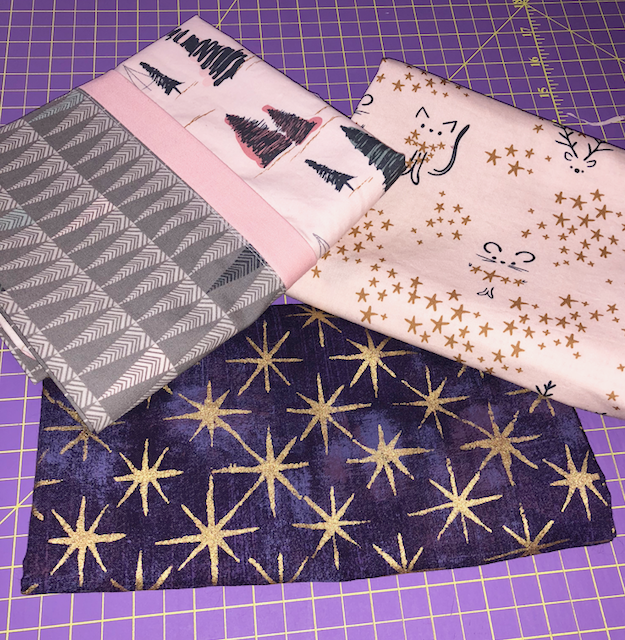 I taught my sister and niece to sew making pillowcases and fleece blankets. So nice to have an easy reference for different techniques. Pillows are definitely a favorite. Thanks for sharing all of those techniques! It's so nice to have them all in one place. Pillowcases do make great gifts! 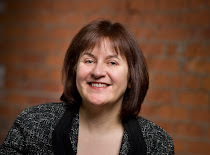 Thank you Leanne! These look like some worthwhile fun!!! These are so cute. What are the fabrics you used? I especially covet the kitty fabric - my sister and both of my nieces would LOVE anything made from that! These are so much fun Leanne! I was planning on making pillow cases for my grand-daughters and will most definitely use your tutorials. Thank you for sharing! Love your fabric choices. Can you tell me who they are made by and the line? Very thorough tutorial Leanne! Well done! Q3 FAL - don't forget to add your finishes! 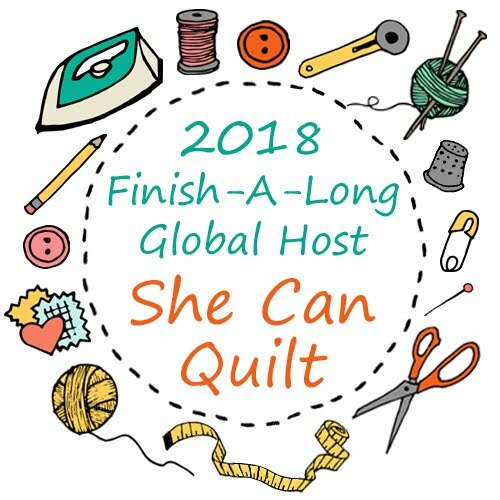 Q3 FAL - Link up your Q3 finishes!